Ancient civilizations and their ruins hold many secrets and mysteries.A young ambitious archeologist suddenly discovers a fragment of the lost map to the treasures of the most mysterious land - Atlantis! Leading her to its remnant which protrudes from the dark waters; a remnant which surely holds hidden secrets, carefully concealed by priests for future generations. Without a moment's hesitation, Anna starts her journey, taking everything she needs.As part of her search, she will visit ancient cities and deserted caves as well as the sea bottom and ice deserts. Download this free full version pc game and help Anna! 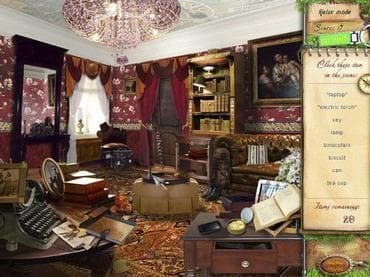 Features: - 8 types of hidden object games; - Free search mode which lets you choose any completed level to play; - Various awards and achievements; - Beautiful graphics; - Discover ancient treasures. If you have questions about Atlantis game, please contact us using this form.